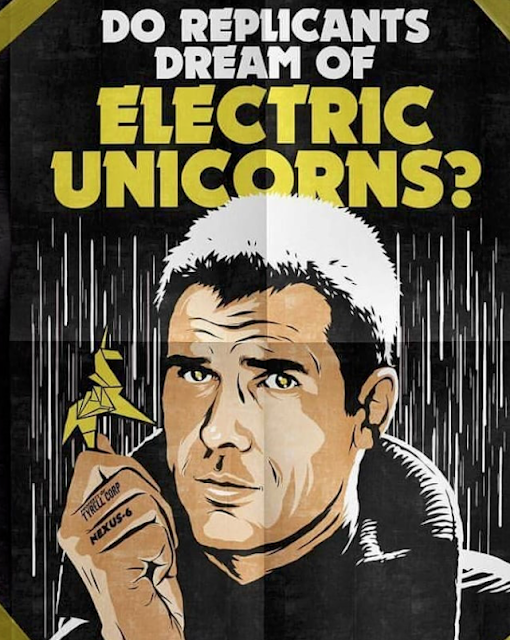 "Do Replicants Dream of Electric Unicorns?" by Butcher Billy (Original IG image / Billy's redbubble.com). Have You Ever Retired A Human By Mistake? She's A Replicant, Isn't She?